Spearmint Oil (India) - Ultra International B.V.Ultra International B.V.
Spearmint is a native of Europe although it has now been naturalised in most parts of the world. Commercially we see larger production areas in China, India, USA, Canada and South Africa. It is easily grown in most soil types so long as it’s not too dry. For essential oil production it is often said the sunnier the better. It is often grown alongside other crops that grow taller as it likes to have some shade. Spearmint itself will grow around 1 metre in height. In blossom it will develop pink or pale purple coloured flowers. We all know spearmint for its unique and popular flavouring and it is commonly found in confectionary and teas. It is also very common in toothpaste flavours. It’s the R-(–)-carvone, which gives spearmint its distinctive smell. 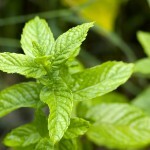 Unlike peppermint, spearmint does not contain high amounts of menthol. Its main components are a-pinene, β-pinene, carvone, 1,8-cineole, linalool, limonene, myrcene and caryophyllene. The therapeutic properties of spearmint oil are antiseptic, antispasmodic, carminative, cephalic, emmenagogue, insecticide, restorative and a stimulant. India is one of the largest producers of spearmint oil having produced around 325 MT in 2015. In comparison, the USA produces approximately 1,500 tonnes annually.